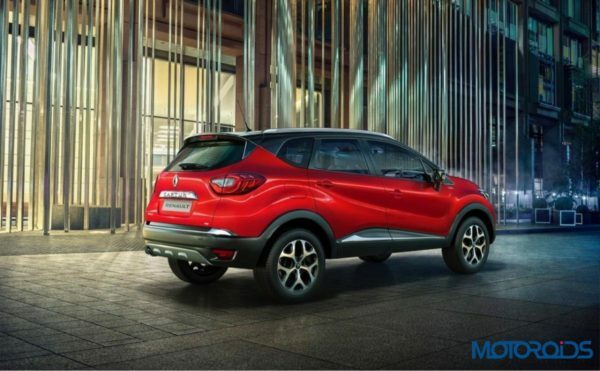 Renault India has just launched a new Radiant Red colour for its Captur SUV along with a few more additions. Currently, the Captur is available with 10 colour options named Solid Fire Red, Pearl White, Mahogany Metallic, Planet Grey, Moonlight Silver, Cayenne Orange, Pearl White body with Mystery Black roof, Mahogany Brown body with Planet Grey roof, Cayenne Orange body with Mystery Black roof and Pearl White body with Planet Grey roof. Additionally, Renault India has added roof rails as standard across its RXT Diesel, RXT Petrol and Platine Diesel variant. 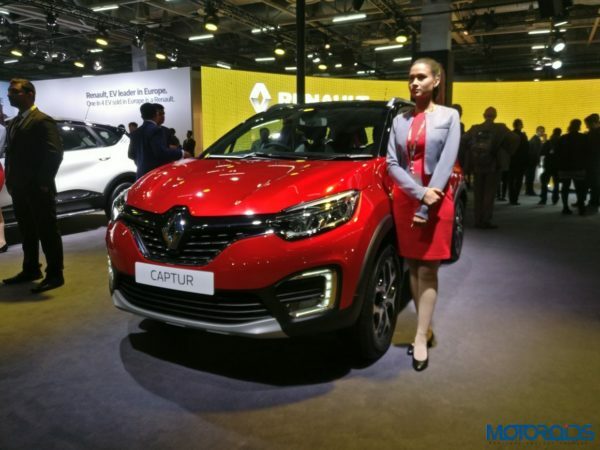 The Captur was launched in India last year in November and didn’t manage to do very well against its rivals due to its premium price tag. 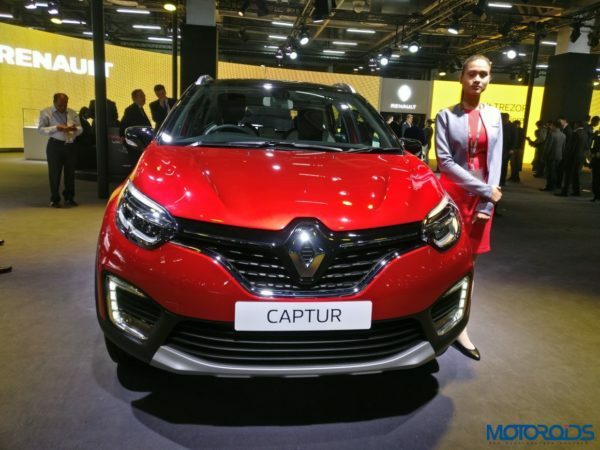 The Captur range starts at Rs. 10,00,000/- (Ex-showroom Mumbai) and goes all the way to Rs. 14,14,699/- (Ex-showroom Mumbai) for the top end Platine diesel variant. It is offered with a choice of both diesel and petrol motors that have been tried & tested in the Duster. The K9K 1.5-litre diesel motor produces 110 bhp of power @ 4,000 rpm and makes 240 Nm for torque @ 1,750 rpm, this motor comes mated to a 6-speed manual transmission. The H4K petrol motor, on the other hand, is also a 1.5-litre motor but instead produces 106 bhp of power @ 5,600 rpm and 142 Nm of torque @ 4,000 rpm, this motor comes mated to a 5-speed manual transmission. Renault hasn’t offered an automatic transmission so far on either petrol or diesel motor variants. The Captur has a ground clearance of 210 mm and offers surprisingly good ride quality. On the inside, the Captur gets rose gold trim surrounds on the centre console and the AC vents, while the top-spec Platine trim gets LED illumination and white upholstery as standard. Additionally, the Captur gets a full LED headlight system and a smart key function along with keyless entry.